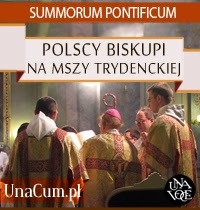 Homily preached by HE Grzegorz Balcerek, Poznań-based Auxiliary Bishop and Vicar General, during Pontifical Mass in the Extraordinary Form of the Roman Rite, in the Franciscan church of St Anthony, Poznań (Posen), Poland, Sunday 14 June 2009. 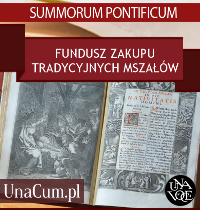 Most Venerable Prelates and Canons, Reverend Priests, Dear Seminarians, and especially you, Beloved Brothers and Sisters in Christ, the lovers of the Liturgy in the Extraordinary Form of the Roman Rite. I am truly moved by the very fact of celebrating the Holy Sacrifice in this most dignified form. Every Mass is a gift and mystery, experience of the Divine. Therefore both the celebration and participation fills us with the fear of God. This is how both the laity and clergy live and breathe this Mass on their path to sanctity. I can recall hosts of saintly priests who were celebrating the Eucharistic Offering with utmost reverence, such as St John Marie Vianney, the Cure of Ars, or our more contemporary Padre Pio. These are priests who were breathing the Eucharist , who were building their congregations through the way they celebrated the Liturgy, and thus — spiritually — the whole Church. Today I am honoured to stand at this High Altar and offer the Most Holy Sacrifice according to the same form, using the same prayers and gestures, perform the Eucharistic Miracle. I can see how much the Usus Antiquior fosters priestly holiness. We are here today, on Sunday, the Lord’s Day, when the Church wants to celebrate the Sacrifice of the Mass more solemnly. We are gathered here by a special occasion. 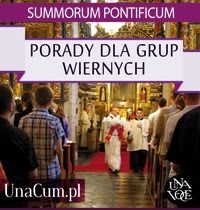 For 15 years, the Poznań traditional faithful attached to pre-conciliar Mass have been praying in unity with the Archbishop of Poznań. I wish to express my double thanks. The former be to the Most Reverend Prelate Jan Stanisławski, a pastor of the traditional faithful, and all priests that have ever served you, for their sacrificial service. 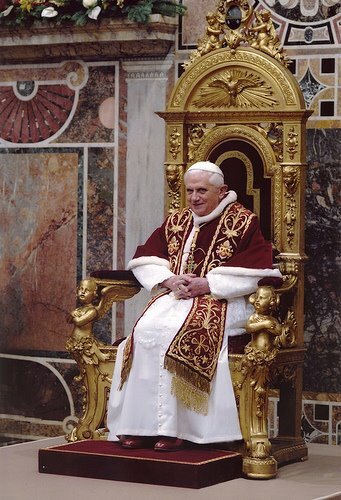 The latter goes to you, my Beloved Faithful, for your fidelity to the Mother Church, for the very fact of rejecting the temptation of breaking up the unity with the Bishop of Rome, the Holy Father. I do realise that the expectations of some of you were much greater than what the Poznań Church — or even the Universal Church — could offer you. Your patience and fidelity, and most of all, your fervent prayers have been rewarded. 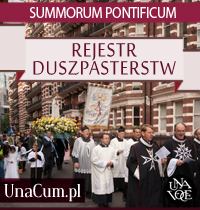 Two years back, His Holiness, Benedict XVI wrote a document which fundamentally changes the attitudes within the whole Roman Church to such groups as yours. And I do insist that you persist in your fidelity and patience, that you demonstrate your understanding toward our Bishops called to responsibility for the whole Lord’s flock who serve the Church to the best of their intentions, efforts and powers, always seeking Her good. 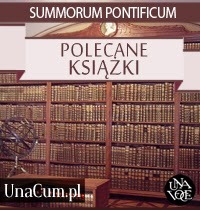 It is the Polish Bishops’ wisdom, especially the God’s servant’s, late Stefan Cardinal Wyszyński, that spared us the rupture and scandal of the 1970s that swept across countries and parishes of Western Europe and America. 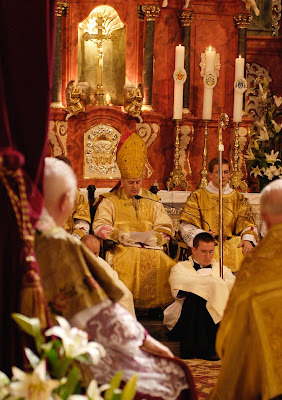 So please do understand today’s caution of our Bishops as to the older form of the Liturgy. There is nothing so destructive for the Church as violent reform. The Church needs not reformers but saints. When speaking of Padre Pio, please remember that it is not his stigmata or miracles that declared him a saint, but heroic obedience and humility to his superiors and ordinaries, who did not always understand this great saint and may have even hurt him by some single decisions. The Church grows through humiliation of its children. She needs not any fight, save for that against our own sins and vices. She may be enriched through relentless prayer and personal sanctification. I remember the “ancient” Mass of my childhood as I was an altar server. I entered the seminary following post-conciliar changes. Until now that, as a priest, I have celebrated the Holy Liturgy according to Pope Paul VI Missal. I had not experienced what older priests know. Perhaps this is why it is so much easier for me to stand amongst you and live the beauty of the liturgy with you. 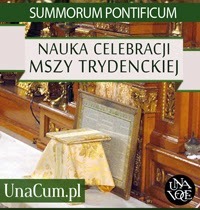 What is characteristic is that Mass offered according to St Pius V Missal attracts more middle-aged and young people, rather than the older generation. Therefore, again, please be understanding, patient and respectful toward those that do not share your longing and sensitivity. Bernini’s Colonnade in Rome surrounding the Basilica and St Peter’s Square may symbolise the Catholic Church. It looks like stretching, inviting arms. 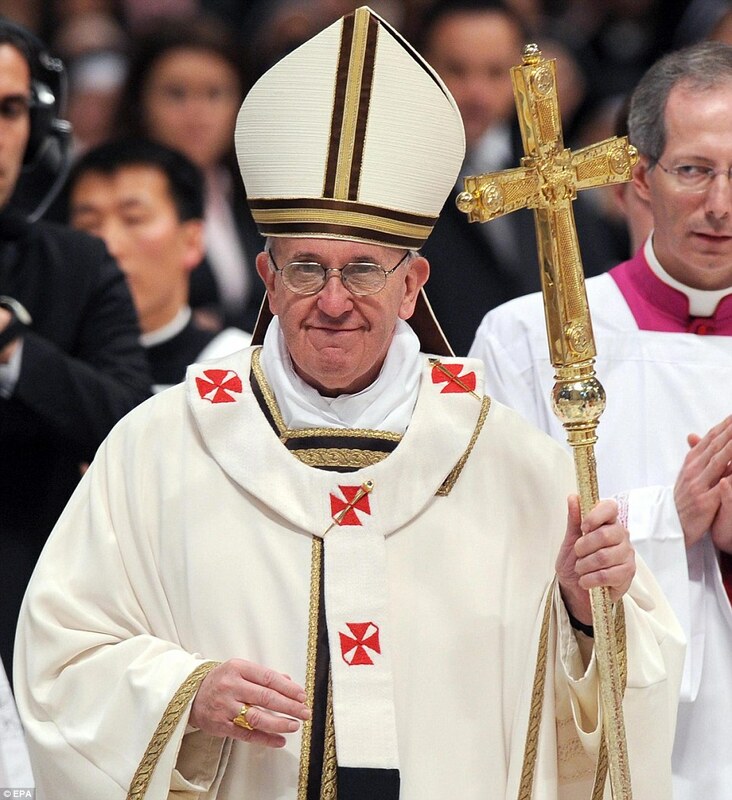 These arms are open to all who wish to proclaim the Catholic faith in unity with the Bishop of Rome. The Church, like a good Mother, has a great heart. There is plenty of space in there: both for the older form adherents and new movements that were born through the breath of the Holy Ghost. The Church has a living tradition, that is, the Holy Ghost continuously operates in Her. Therefore, Tradition is not a rigid clinging to the past. Cherishing what the Church has lived for the centuries (and I fully share your charity), please never let the spirit contrary to the Holy Ghost, the spirit of exclusion of others, the spirit of superiority, in short, the sin of pride, infest you. Such attitude would be contradiction of Catholicity and rejection of those stretched arms of the Church, an attempt to form closed shops, to close Her heart that wants to welcome all. Yet, it must be stated clearly to all that reject older forms being the Church’s Tradition that they are wrong and impoverish the Church. It is wrong to divide the Church into pre- and post-conciliar, I mean, to reject the old and glorify only the new. Sadly, we are witnessing such attitudes emerging from lack of obedience to liturgical norms. The Eucharist cannot be treated as if it were private property of a priest or some community. The Liturgy can never serve as a platform for personal experiment and be stripped of its dignity. How familiar sound the words spoken by an outstanding Catholic thinker, Robert Spaemann, at Fontgombault Abbey in the presence of the then Cardinal, Joseph Ratzinger. What he was implying was that to know what the Eucharist is, you need to come to love the ancient rite. 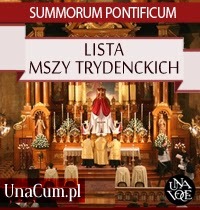 He said: “The future of the liturgy in the Latin Church is determined by observing this very commandment, upon which God made the earthly destiny conditional: Honour thy father and thy mother.” To do so, you need to learn to look at your parents, also the spiritual ones, saints that were forming the sacred liturgy. Next Friday, on the Feast of the Sacred Heart of Jesus, as willed by His Holiness Benedict XVI, the Year of Priesthood will be inaugurated. St John Vianney will be its patron. Your community may well organise a pilgrimage to the grave of Saint Cure of Ars. Let me give my blessing to any such undertaking. And I beg, Sisters and Brothers, your fervent prayers through the intercession of St John Vianney, for our Pope, our Bishops, priests and new priestly vocations. Christ, the Eternal High Priest, His Mother, the Blessed Virgin Mary, will not remain your debtors. They will hear our prayers and give us many saintly priests. Amen.